Since every smartphone makers are eyeing for big sized display mobiles, recently from Apple gigantic iPhone 6 Plus and Samsung release the fourth iteration of its massive Galaxy Note, it is no wonder that Google getting into the business of 6 inch phone for its users. Nexus 5 was a major success for Google and now Nexus 6 has surpassed 5 in size and features of in every aspect. Nexus 6 somehow manages to feel supersized even by today’s surreal standards. As we already know the features of Nexus 6 holding a Quad HD screen, a powerful Snapdragon 805 processor, a 13-megapixel camera, and a battery big enough to power it all. But the stats don’t tell the real story. The real story is simple: this Motorola-made phone was code-named “Shamu,” and it’s entirely appropriate. Even in this age of big phones, the Nexus 6 is a whale. Weighing almost184g, the phone measures up at 82.96 x 159.26 x 10.06mm, making it quite a bit bigger than the Samsung Galaxy Note 4 – it’s phablet rival. 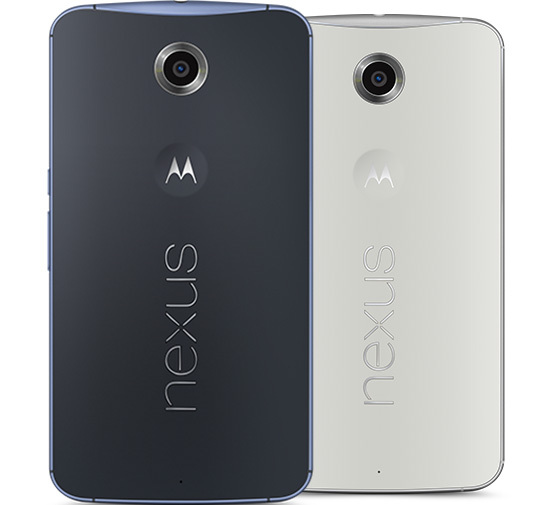 It would be Nexus 6 which will taste the new Android 5.0 Lollipop. the latest version of Google’s mobile OS which comes up with a major modification holding Material Design user interface, performance improvements, selective notifications and a new battery saver mode which extends battery life by up to 90 minutes. Apart from this it includes multiple user accounts and a guest user mode have been added, across tablets and smartphones for the first time, to help you keep your personal data private when sharing your device with others, and there’s now an option to unlock your device based on proximity to a Bluetooth-enabled wearable like the Motorola Moto 360 Android Wear smartwatch. You have got many features and reasons to hold Nexus 6 as it holds Qualcomm Snapdragon 805 CPU clocked at 2.7GHz and Adreno 240 GPU. It comes with NFC, Bluetooth 4.1, GPS, Wi-Fi, 4G LTE and accelerometer compatibility. Sadly there’s no microSD slot, and the battery isn’t removable either – Thankfully, the Nexus 6 has a large 3220mAh battery which, coupled with the more efficient processor, AMOLED screen and Android Lollipop’s battery optimisations, should hopefully provide at least an all-day moderate to heavy usage experience. The device starts at $649 (32GB) and $699 (64GB). What do you feel about the price, features and abuot new Lollipop OS in Nexus 6? Share your views in comment section.